Virtual Reality. Those two buzzwords seem to be following us everywhere. With so much attention on VR and the recent explosion of Pokemon Go, it is clear that disruptive VR/AR technology will be more than a one-hit wonder. 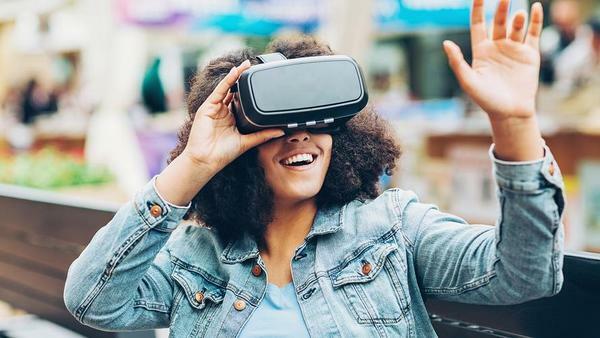 As the technology improves and VR adoption increases, brand marketers will have to understand how to leverage this new medium. Here are a few examples where brand marketers have taken the platform and ran with it, creating unique opportunities to immerse people in exciting new experiences. Expedia knows travel and the joy it can bring. But it also brings healing. For the children undergoing treatment at St. Jude’s Hospital in Memphis, TN, travel may not be an option due to their illness. Using 360° cameras to film adventures in real time and project them on a cube of screens surrounding a comfortable chair, patients were able to accompany the Expedia employee guiding them on their dream adventure. From running with wild horses on the plains in Argentina to digging for dinosaur fossils and SCUBA diving on the Great Maya Reef, the patients were virtually transported to these amazing places and able to interact with them through the imagery and the guide. For that time, in that space, the patients were not patients in a hospital but travelers exploring the world and experiencing the adventure of a lifetime. Expedia customers can donate their Expedia points to help fund more of these priceless adventures. People rarely enjoy the long slogs between locations as they look at real estate. Sotheby’s International Realty aims to cut down the time-intensive travel aspect by incorporating VR tours of available properties. Currently, luxury real estate in the Los Angeles and New York City areas are available for a VR tour using a Samsung Gear VR. Though some things can only be determined while physically in a space, the use of VR can at least help whittle down the potential properties to the must-see few. If this proves as beneficial as hoped, VR tours could eventually become commonplace across the whole real estate market. While VR is going beyond the “geek” realm, their immense contribution cannot be ignored and surely must be rewarded. The Star Wars Trials on Tatooinne VR experience is one such immersive experience that does just this. Visiting that fabled planet, wielding a lightsaber in a realistic way, and feeling a part of that universe that has fascinated us for decades - what could be better? While wearing the HTC Vive headset, the player is transported to Tatooinne for a short time. And with the recent release of a new volume and two more to come, the Star Wars fanbase is only expanding. Hopefully the VR experiences will do the same. The Beatles were cutting-edge and Paul McCartney continues to be. With the release of his VR experiences Pure McCartney, fans everywhere can now journey to Paul’s barn-turned-recording studio to hear him tell the stories behind some of his biggest hits and the most pivotal moments of his life. The video series filmed in 360° settles the viewer in for a few good rounds of Paul’s storytelling. Surrounded by his instruments, mismatched sound-dampening oriental rugs and projector screens displaying videos and photos from yesteryear, audiences feel how much the music is an extension of the man. Have you ever wanted to know what furniture will look like in a room before you purchase it? IKEA understands that struggle and added a feature to the IKEA Catalog App to help. Utilizing Augmented Reality technology, the App allows customers to see how a piece would fit in a room prior to purchase. With a mobile device pointed at the catalog book laying on the floor, the App shows a specific product as it would appear in that space. Now you can see if that crazy patterned couch is a wonderful statement piece - or just an overwhelming one - before hauling it up five flights of stairs. Several exciting developments are on the horizon as VR technology continues to evolve. Facebook Surround is a consumer camera that captures 360° of images and available open source, as is the stitching code. Facebook shared the specs on GitHub in an effort to stimulate the technology’s advances and make it available to anyone interested. You will have to build it yourself, but isn’t that part of the fun? Videos will be able to be loaded in and shared on Facebook. Google is taking its VR platform to the next level with Daydream. Just announced, the Daydream View is the first headset pairing with the platform and requires a Daydream-ready phone, such as Google’s new Pixel. Thanks to Google Cardboard, mobile phone-based VR has become more accessible. Daydream is poised to build on this concept and take it leaps and bounds further. Sony released PlayStation VR October 13, 2016 with 50 VR games set to be available by the year’s end. The new headset is supposed to be much more comfortable and work with existing PlayStation 4 consoles, making the transition to VR that much easier and more desirable for PS users. The Oculus platform is bringing Social VR onto the scene. Working with Facebook, people will be able to virtually occupy the same space as their friends when physically in different locations. This prospect of watching movies and TV shows together in this space also exists. As VR technology continues to progress and innovate, new applications will undoubtedly unfold. Already solving problems related to physical location restrictions, VR’s uses seem limitless in business, education, and entertainment. We just have to come up with them first. Where VR will take us in the future, we can only imagine - but suffice to say, it could be virtually anywhere. Published on October 20, 2016 .